Coming off a wonderful stay at Best Western Plus Sunset Suites Riverwalk, #HotMamaDoesAmerica epic road trip continues on with great thanks to Best Western Plus. After a brief visit to New Orleans, we were off to find my Great-Great-Great Grandfather’s grave at Andersonville National Historic Site. While in town we were invited to stay at the Best Western Plus Windsor Hotel in Americus, Georgia. Now, I can’t tell you how excited we were about this hotel. I think we actually squealed. Yes, we squealed like a van full of excited little piggies as we drove up to the Windsor Hotel. The first thing that thrilled us was the rich history of the Best Western Windsor. I am a huge history buff and the Best Western Plus Windsor Hotel is dripping with charm from another time. Built in 1892, the magnificently restored hotel was originally designed as a five story 100 room Victorian reminiscent of the luxury 19th century hotels of Europe. Complete with a tower, turret, balconies and three story open atrium the Windsor hotel Americus took up an entire city block. The Windsor didn’t just look lavish, it was lavish. In her day, the Windsor attracted many high-profile guests and was the site of glamorous galas. Many of the famous guests were political figures, like Congressman William Jennings Bryan, three-time Democratic presidential nominee who stayed at the Windsor Hotel in 1893 and American labor leader, Eugene V. Debs in 1896. President Franklin D. Roosevelt was a guest at the Windsor Hotel while he was the Governor of New York. He even gave a speech to the Chamber of Commerce from the balcony that adjoins what is now the Roosevelt Boardroom. This boardroom was also the site of many successful political campaigns and is now known as The Lucky room. I had the opportunity to stand in the center of this room and I can tell you the acoustics of the room do make you feel powerful, like I had my own personal microphone. The presidential suite is named after President Carter, who grew up in nearby Plains, Georgia, and was a regular at the Windsor Hotel Americus. He and his wife Rosalynn first stayed in the suite in 2002 and since then have celebrated major events at the Windsor, including his 75th birthday and New Year’s Eve. Sadly after 80 years, the Windsor Hotel closed its doors in 1972. But, after a 6.5 million dollar renovation the doors re-opened in 1991. Then again in 2010 it underwent another major renovation, restoring much of the Windsor’s former glory. 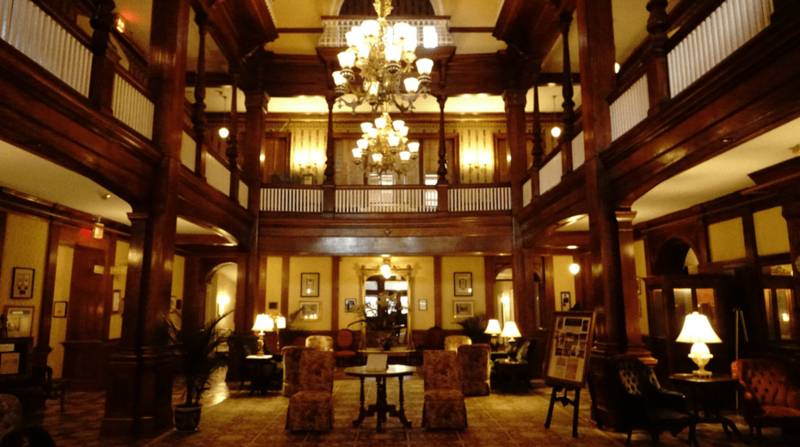 The hotel has retained most of the original features including the hand-carved golden oak woodwork, heart pine and beautiful marble floors, but now has been reduced to 53 individual guest rooms and suites. However, it is still stunning and I can only imagine how the first guests of the Windsor felt. Upon walking in we were in complete awe. The open lobby atrium, sparkling chandeliers, marble floors, intricate woodwork and Victorian furnishing instantly transported us to another time. It is not surprising that some guests never wanted to leave. Check Prices. Yes, the Best Western Plus Windsor Hotel is said to be haunted. I personally love a good ghost story and was thrilled to discover that the Windsor had some spirits floating around. Actually, as we were checking in a dapper man enjoying the paper in the lobby informed us that an official ghost investigaor had checked in to investigate the stories of this haunted hotel. I really wanted to get in on it, but instead I took the kids on our own little ghost hunt with my ghost communicator app. We got a few words, but it was mostly pretty tame. However, it was enough action to keep the kids on high alert the rest of the night. So who are these ghosts that are believed to still roam the halls of the Windsor Hotel? In the early 1900’s staff of the Windsor would often live on the property. Among those residing were a housekeeper and her daughter. As the story goes, the housekeeper was in a tiff with her lover while holding the hand of her young daughter. As the door of the lift opened, the man pushed her inside, not realizing the lift had not come up. Sadly, the housekeeper and her daughter fell to their death. 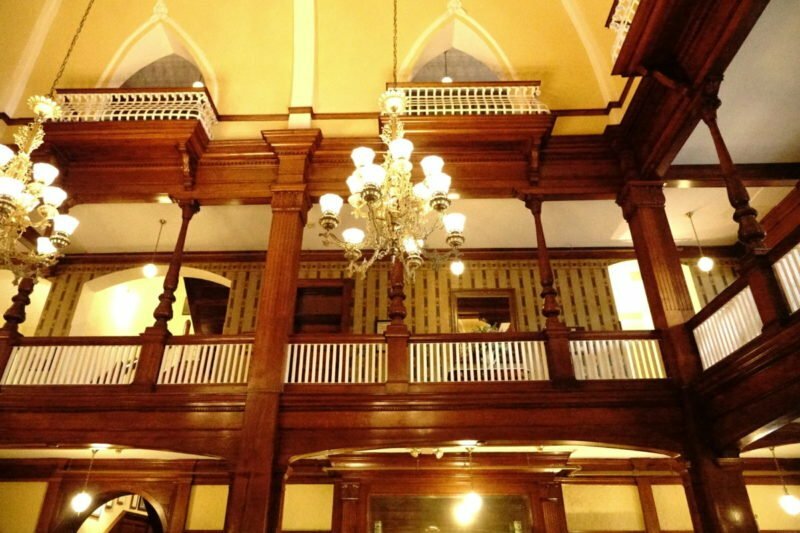 Although this story cannot be confirmed in any records, guests claim to see the spirit of the little girl as she plays on the third floor of the hotel. Another spirit said to haunt the halls is the friendly former employee by the name of Floyd. He worked at the Windsor as a doorman and lift operator for forty years. Amusingly, I was also told at check in that if a man in uniform named Floyd offers to help with my bags, that they don’t have anyone currently working here by that name. I had already done my research on the property and gave them a knowing wink. We actually came into town to visit the National Cemetery and National Prisoner of War Museum in Andersonville. The close location of the Best Western Plus Windsor Hotel Americus made it the perfect fit. Not only is it a lovely, but an easy commute to popular sites. 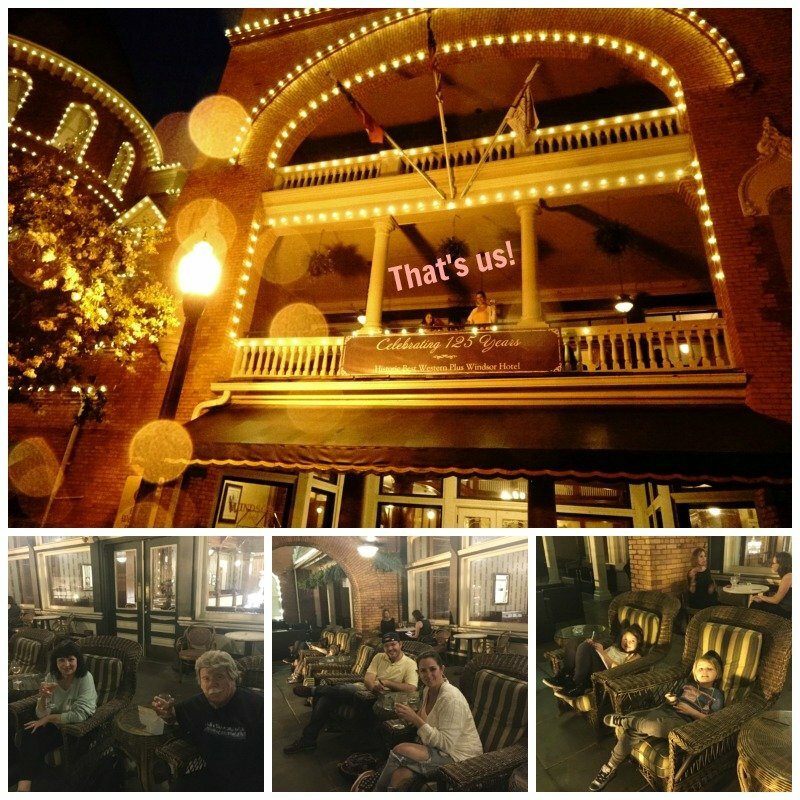 Located in downtown Americus, the Windsor is near the Rylander Theatre, Koinonia Farms, Jimmy Carter National Historic Site, Thirteenth Colony Distillery and the Andersonville National Historic Site. 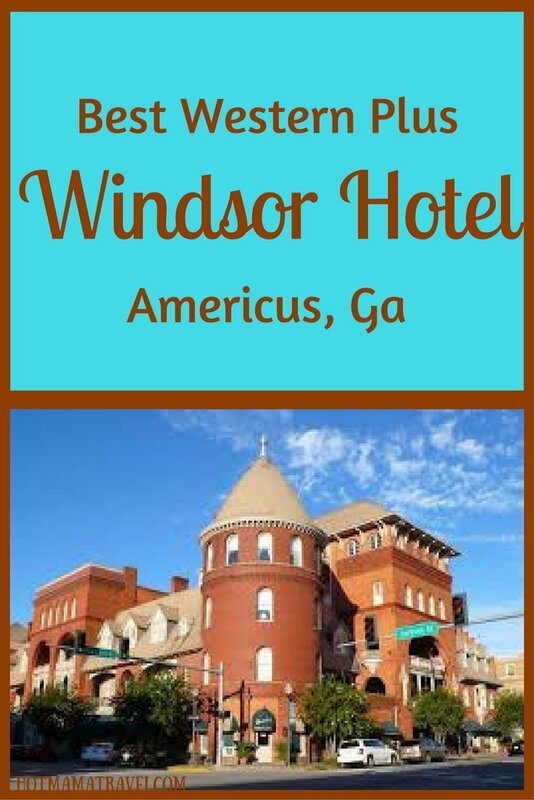 We came to town on a mission, but honestly after arriving to the Windsor Hotel I wanted more time to explore Americus. It was such a sweet little town. 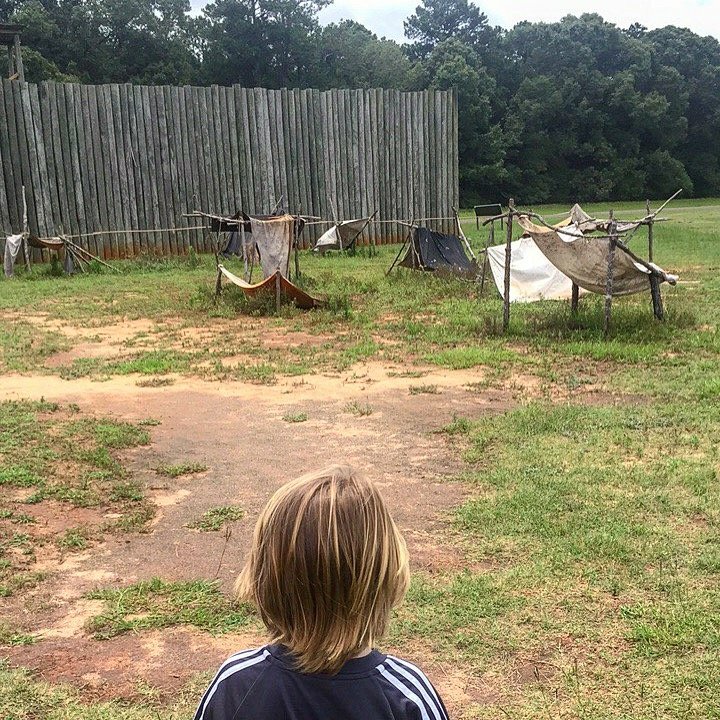 Read more about our visit to Andersonville, HERE. The Windsor Hotel may be a blast from the past. However, it is stocked with all the modern luxuries today’s traveling families will love. 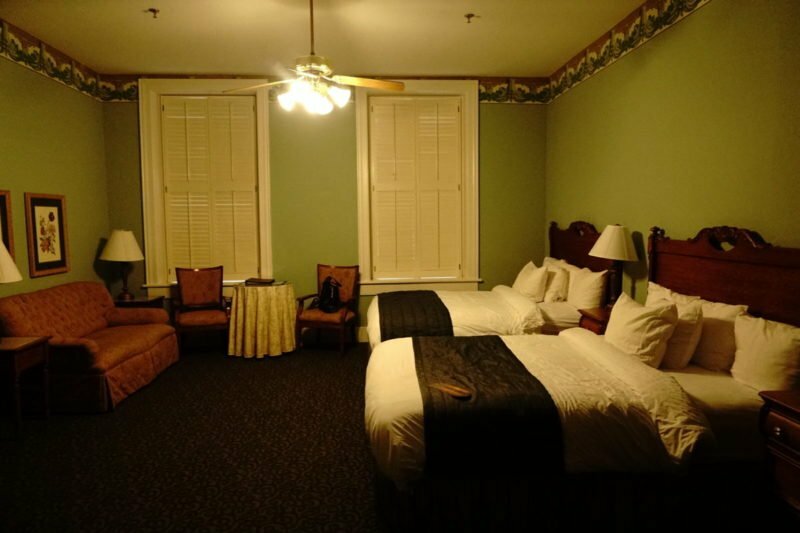 After a major overhaul in 2010, the guest rooms are unique and maintain Victorian charm while providing guests with modern comforts such granite counter-tops, luscious bedding and duvets, a microwave and mini-fridge, and 32 inch flat screen televisions with cable satellite HBO® and high-speed Internet access. There are even business services, dry cleaning services and spacious meeting facilities as well as a restaurant, pub, beauty salon and fitness center on site. Check Prices. 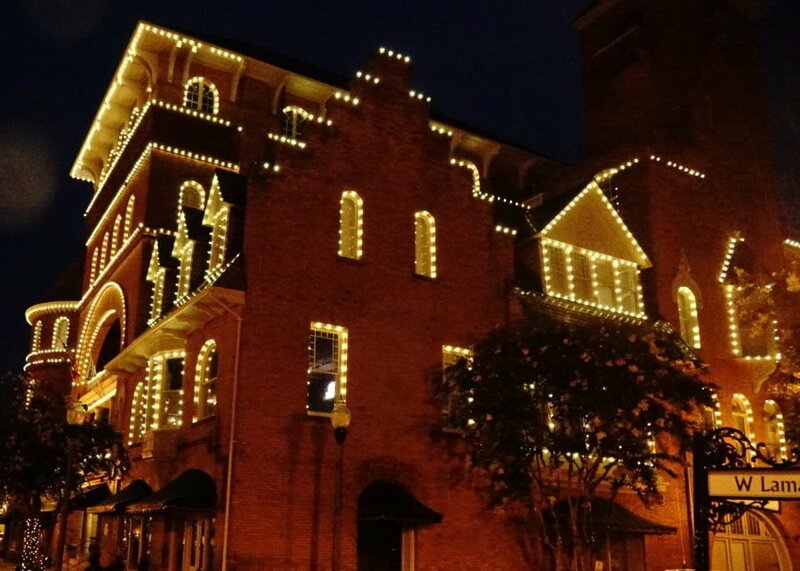 Thanks to the romantic atmosphere, grand atrium and other amenities, the Windsor Hotel has become a popular wedding venue in Georgia among brides. In fact, you can affordably rent out the entire hotel for your event, making for one grand event. Upon hearing this I wanted and excuse to throw a big party here too! 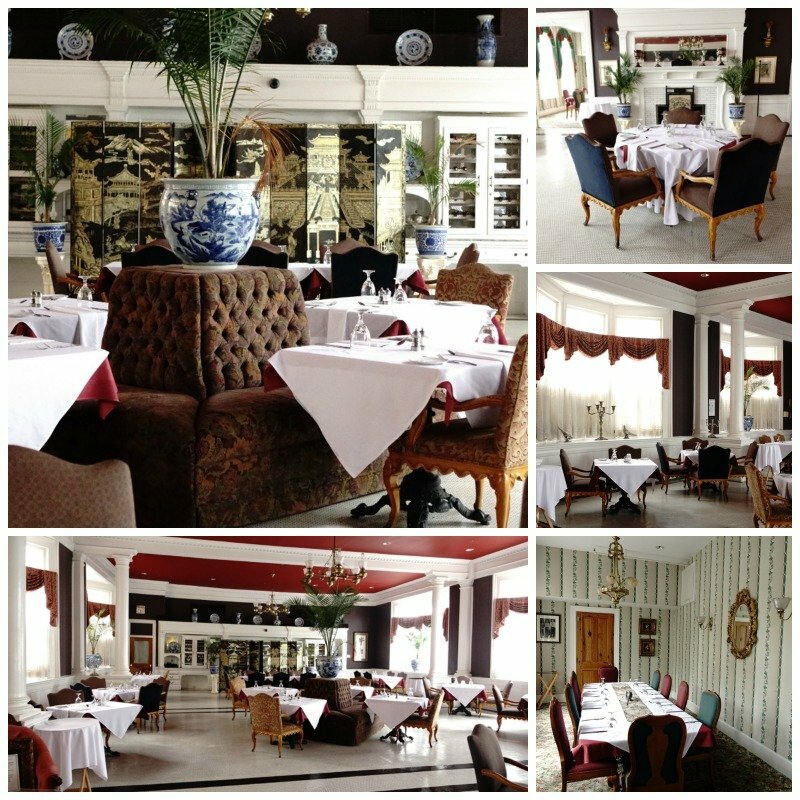 Our first night at the Windsor Hotel, we were excited to dine at the beautiful Rosemary & Thyme Restaurant. The restaurant was breathtaking, yet unpretentious. The cuisine was mouthwatering and service was on point. I can safely say we all thoroughly enjoyed our first meal in Americus. They also offer a delicious breakfast each morning that I unfortunately missed. However, the boys assured me it was scrumptious. Remember our friend Floyd from the ghost stories? During the renovation a safe was exposed in the room that is now the pub. Anticipation was high upon the revealing of the safe’s contents. The people wondered what valuable treasure could be locked away for all these years. When it was discovered to contain the uniform of Floyd, the hotel named the pub after him in honor of the former employee who still refuses to clock out. The funny thing is that Floyd was a teetotaler. That’s right the pub is named after a man that didn’t drink. After dinner, we enjoyed a nightcap at Floyd’s. Yes, even the kids. We relaxed on the veranda as we swayed in the rocking chairs. It was so nice to watch the light summer rain gently sparkle in the glow of the vintage street lamps. We went on a pretty quiet night, but on Fridays they have live acoustic music that I bet is amazing. I have to say; out of all the hotels in Americus I am so thankful we had the chance to experience the Best Western Plus Windsor Hotel. It has all the uniqueness and luxury of a boutique hotel, but with the convenience and affordability of Best Western Plus. That is what I love about Best Western Plus hotels; quality accommodations at competitive rates. On top of that we earned our Best Western Rewards. It is free to join and the points never expire. Americus was never on my radar before this trip, but now that I have stayed at Best Western Plus Windsor Hotel I can’t wait to come back! Maybe next time I may even get to meet a ghost. Disclaimer: HotMamaTravel is a participant in affiliate advertising programs. This means that we get credit for providing awesome advice in helping you to decide on your purchase if you use one of our links. There is no extra cost to you, but it helps to support the cost of running our blog. Thank you for supporting us! Have you ever heard of the Windsor Hotel? Have you ever been to Americus? This is a beautiful Best Western. I never think of them as this nice. Guess that is the ‘Plus.’ Definitely a chain I will have to consider when traveling. This hotel is a classic that was recently renovated in the 90’s if I remember correctly. The manager explained that they decided to affiliate with Best Western because they allowed them to keep the original motif and style of the hotel, whereas other hotel programs (e.g. Marriot, Hilton) have stricter guidelines and would have required the rooms to adhere to their stylistic standards. We definitely appreciate that they chose Best Western Plus to stay true to their roots. In fact, the hotel was renovated to adhere to Best Western Premiere standards, which is a step above plus, but they lack valet parking and so technically don’t qualify as a “Premiere”, but everything else about this hotel is Premiere. 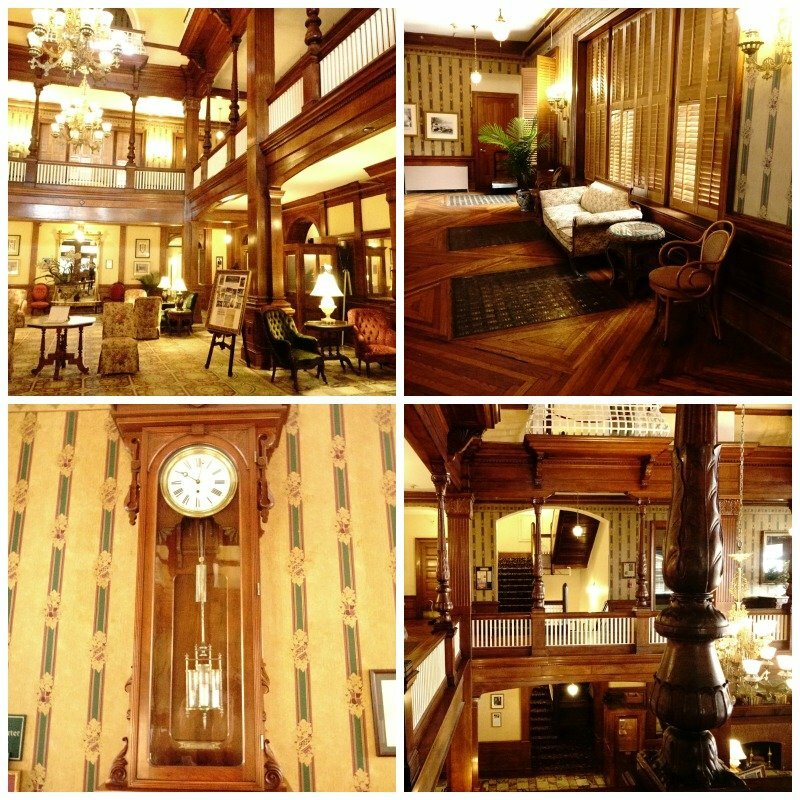 The hotel is really beautiful and thank you. I know it might be haunted but I’d still want to visit the Best Western Plus Windsor Hotel! You should! We also learned that people can book the entire hotel for weddings or special events. That would be like a dream location for me, I love the history and the Victorian styling, and of course the ghost stories! Best Western has taken it up a notch! Plus anything mentioning ghosts will catch my attention!